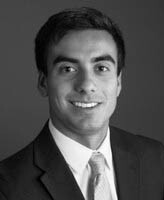 Michael is a Senior Associate and is responsible for the diligence and structuring of new investments as well as post-closing portfolio company activity. Prior to joining Quilvest in 2018, Michael was as an Associate at Capital Southwest, a credit-focused BDC that is a lender to middle market companies across the capital structure. Prior to Capital Southwest, he served as an Analyst in Jefferies’ Global Industrials division where he worked on debt, equity and M&A transactions. Michael graduated with honors from the University of Notre Dame with a Bachelor of Business Administration in Finance.